The importance of food safety and hygiene has increased significantly in recent years in Europe. Consumers expect safe and high-quality food on the one hand, and more transparency and information on the other. For this reason, “traffic light or smiley systems” have already been introduced in several European countries. The EU Control Regulation 2017/625 will be fully applied from 14.12.2019. 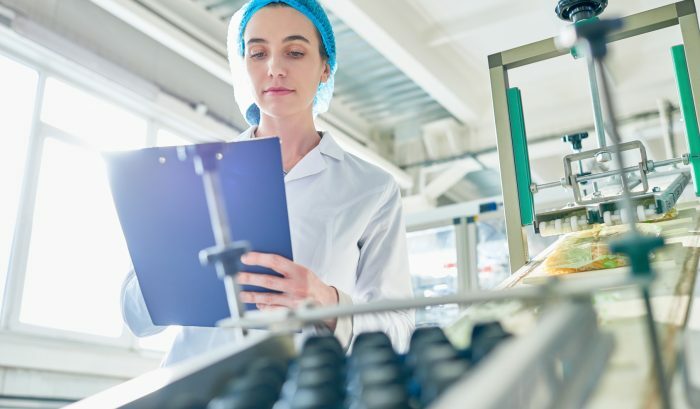 In addition to the aspects of food safety and hygiene, other points are the monitoring of self-monitoring, traceability, the guarantee of transparency and consumer information as well as the fight against food fraud. The aim is to restore consumer confidence in the integrity of the food chain. More transparency in the controls carried out (including the results). This means that the results of monitoring can now be published in certain cases. Fees for monitoring controls may also be introduced for regulatory controls. Targeting food fraud and carrying out regular, unannounced and risk-based controls. Penalties for food fraud will be adjusted or increased depending on the fraud value or turnover of the company. EU reference centres on animal welfare to be created. This also applies to centres for checking the authenticity and integrity of the food chain. New rules on cooperation in cross-border problem cases. Reports on the activities and results of the control authorities must be published at least once a year. Member States may also make the results of food control inspections public in respect of individual inspections. However, the operator must be given the opportunity to comment on these results. These comments must also be taken into account in the publication. Member States may introduce rating systems for trade, producers, restaurants, etc. These should provide consumers with simple and clear information on the extent to which companies comply with food law requirements. These are, for example, traffic light or smiley systems. Other EU regulations such as 178/2002, 852/2004, or 853/2004 remain unaffected by the EU control regulation for the time being. This means that the requirements for hygiene, HACCP and microbiological self-monitoring are currently unchanged. The new EU control regulation will further strengthen the trend towards more self-controls and responsibility on the part of food companies. The EU will create the legal basis for topics such as the publication of control results of food monitoring, fees for regulatory controls of monitoring and hygiene traffic lights. Even more important for food companies in the future will be compliance with hygiene regulations and other food law requirements. We would be pleased to support you in these tasks in a competent and practice-oriented manner. If you have any questions, please do not hesitate to contact us.